Hello there! Crystal here, hope you had a fun April fool's day! Today I am playing along this with the Gypsy Road collection. 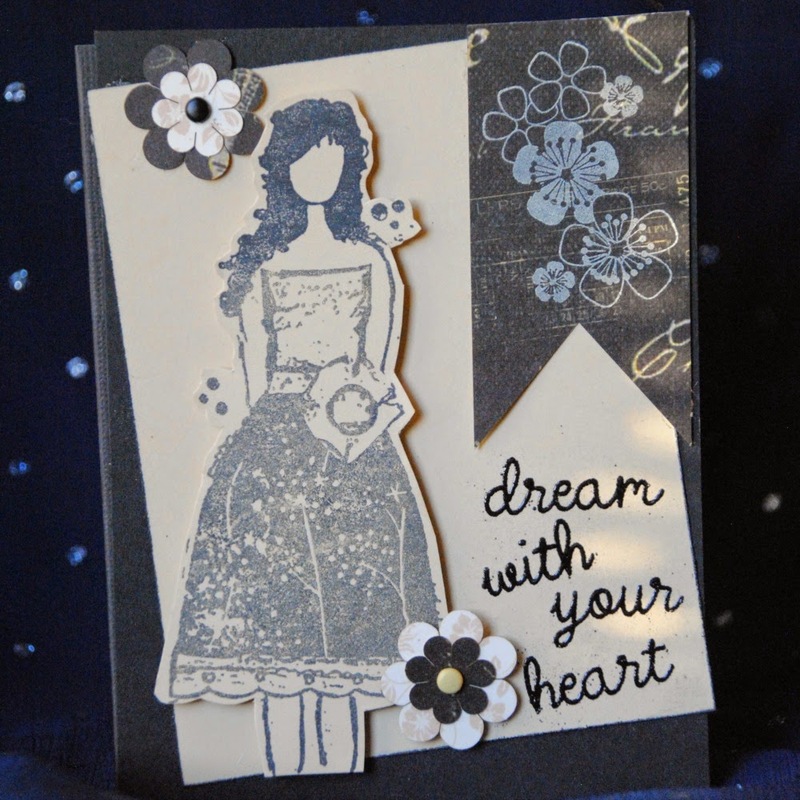 I made a one sheet, feminine yet simple card with Gypsy Road 400 and PowderPuff Antique Linen Chalking ink. Here are the steps I took to make this card, which would be perfect of a friend. 1. I trimmed by black base cardstock to 5.50 in. X 4.25. 2. 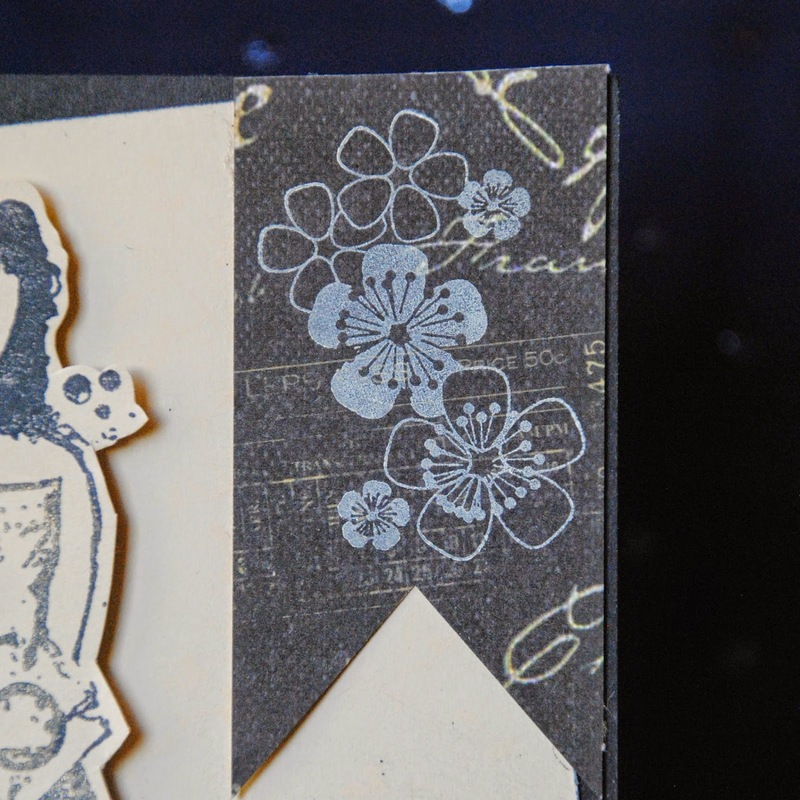 The second layer of beige cardstock to 5 in x 4, then stamped flowers using PowderPuff Antique Linen Chalking ink. 3. 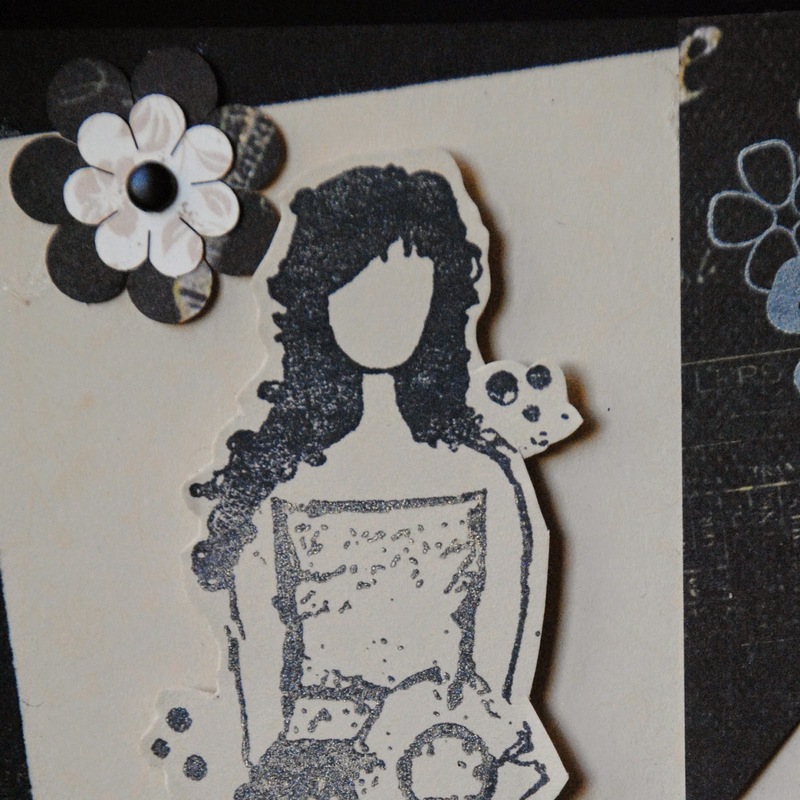 Stamped by girl image on a separate card stock and cut. 4. 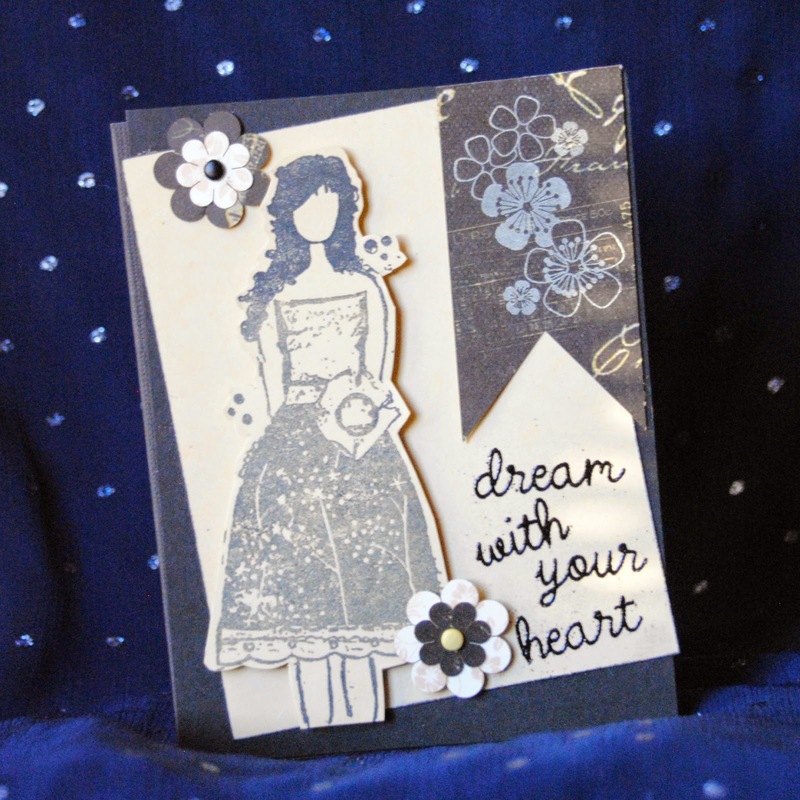 Heat embossed the sentiment on the beige card stock. 6. Stamped flowers on banner using PowderPuff Antique Linen Chalking ink. I love sticking to color combos already provided by the papers, and Gypsy Road 400 is perfect to pair with blacks and Antique Linen.